It’s not just residents who are displaced when rents in San Francisco skyrocket – it’s nonprofits. Two planners who saw that happening are now constructing an entirely new building that will be sold, piece by piece, to nonprofits for a permanent home. 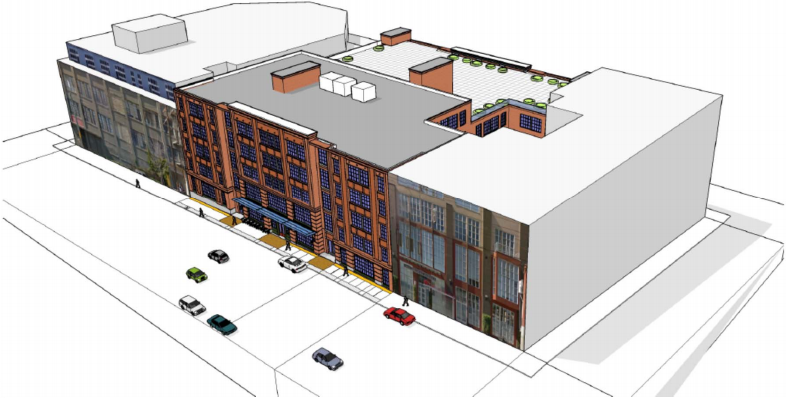 Common Ground Urban Development is seeking approvals to tear down a two-story building at 1850 Bryant Street and erect in its place a five-story, 172,000-square-foot building designed to house some 10 nonprofits. Their names have not yet been released, but most will focus on workforce development for people with employment barriers, according to Common Ground. San Francisco has grappled with keeping nonprofits in place for years. In a survey of Bay Area nonprofits conducted for the Northern California Community Loan Fund, an organization provides financial and technical assistance to nonprofits, found that more than 80 percent were worried about the increase in office rents. Still, an estimated 17 percent of the city’s workforce is employed by nonprofits, and nonprofits provide some of the city’s key services. San Francisco has poured $4.25 million into helping organizations to acquire their own spaces, and $1.45 million into assisting nonprofits with urgent needs like moving, but with nearly 7,000 nonprofits operating in the city, the demand for affordable space has not let up. In response, Leiasa Beckham and Thor Kaslofsky, both with backgrounds in affordable housing and non profits decided to just flat out develop the space that nonprofits needed. Building entirely new spaces, says Beckham, means controlling costs but also making sure that the spaces that end up being offered are adequate. In Beckham’s previous work with the Loan Fund, she helped nonprofits relocate in a pinch, but solutions weren’t always ideal. “The problem was I kept moving them or helping them renegotiate a lease for space that was so inadequate for their services,” she said. Nonprofits often need more time than other commercial buyers to close a deal. At a building specifically designed for nonprofits to come in, that obstacle is removed. With 1850 Bryant designated for nonprofits ahead of time, there’s no for-profit competition to muscle in. And the developer is already dedicated to working with them. “We also created a runway so that nonprofits can come in and transact in a way that is complementary to their governance structure,” Beckham said. The existing building and parking lot belong to electrician Jeffrey Abbett, whose office and storage area is in the building now and who the Chronicle reports is ready to retire. Once all is said and done, the idea is that the whole building, in its separate condo-ized pieces, will be owned by nonprofits and Common Ground will hand over management to a third-party property management firm. The project would also provide some 130 parking spaces, a 9,000-square-foot interior courtyard and a roof deck spanning some 13,000 square feet. Early estimates submitted to the Planning Department indicated it would cost around $35 million to build. But first, the project must win approval from the Planning Commission, where it will be considered June 1. This would have been a better spot for housing rather than non-profits. The residents would have great access to Safeway/Gus’s, a couple of parks in Franklin Square and the new one on Folsom Street. They should building something like this down on Mission Street were the non-profit employees can have access to public transporation from BART and Muni. On Bryant they’ll need to head up the hill to reach their offices.